OMAHA, Neb., May 27, 2010 -- Dr. Robert Brammer, Northrop Grumman (NYSE:NOC) Information Systems Sector vice president and chief technology officer, led a panel calling for increased collaboration in cybersecurity research addressing a critical and immediate national need at the Annual Armed Forces Communications and Electronics Association (AFCEA) STRATCOM Cyberspace Symposium. Other panel participants included members of the Northrop Grumman Cybersecurity Research Consortium, Dr. Tom Knight, the Massachusetts Institute of Technology (MIT) and Dr. Eugene Spafford, Purdue University. 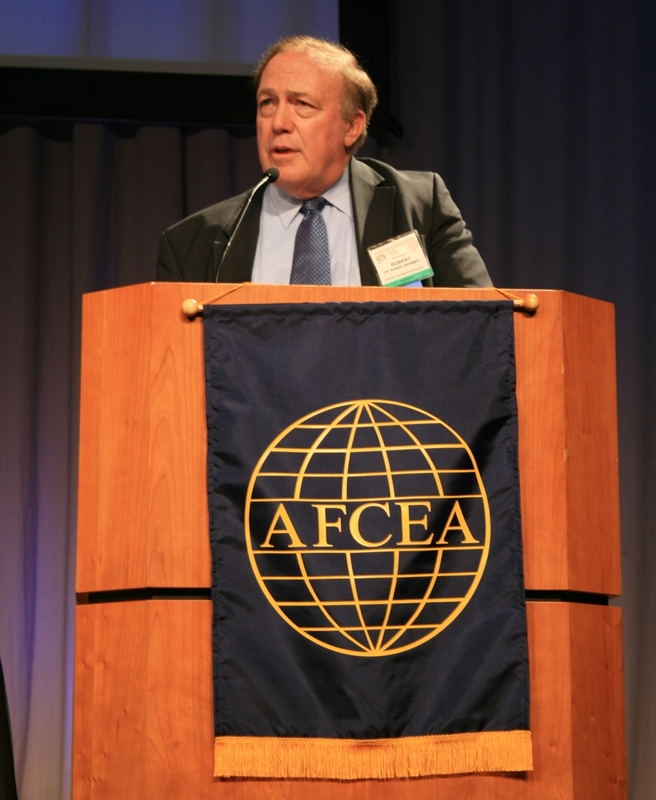 Also participating in the panel was Dr. Michael Van Putte, DARPA. During the panel discussion, the participants addressed the urgent national need for increased cybersecurity research and development for emerging technologies in these areas. The participants also discussed the programs currently in progress to help address this need. "We see some promising emerging technologies in many of the areas that our Cybersecurity Research Consortium is addressing," said Brammer. "Substantial work by the government, industry, and academia is needed to realize the potential of these technologies for large-scale implementations that will have national impact." Northrop Grumman established the Cybersecurity Research Consortium in 2009 to help develop leap-ahead technologies in the cybersecurity field. The consortium includes Carnegie Mellon University, MIT, and Purdue. The research conducted through the consortium spans many areas of cybersecurity, defined as protection of information and information systems on networks. These areas include hardware and software security, privacy, simulation of cyber attacks and defenses, protection of critical national infrastructures, and others. Currently, the consortium is involved in 10 projects at the member universities with complementary research projects at Northrop Grumman. The Cybersecurity Research Consortium is just one of the initiatives that Northrop Grumman is taking to help develop advances in cyber technology. Earlier this month, the company announced that it would be the presenting sponsor of the Air Force Association's CyberPatriot III competition. CyberPatriot is a national high school cyber defense competition designed to excite, educate, and motivate the next generation of cyber defenders. Through this sponsorship, Northrop Grumman will be recognizing its responsibility to helping develop cybersecurity leaders and promoting new technological advances.